Brand NEW construction for IMMEDIATE OCCUPANCY! Custom rancher built on a CONCRETE SLAB so there are absolutely NO STAIRS! Wheelchair accessible as needed! This home (as pictured) is just 30 days away from completion. It’s R-CI’s most popular floor plan, the Olivia. Extra special features of this home are; concrete slab, LVT flooring throughout most all of the house, 9′ ceilings, rear patio, complete radon mitigation system, Spray Foam Insulation and entirely separate HVAC system for ROG, Full Bathroom in Room Over Garage, OPEN Concept Dining Room with Custom Nook, Recessed Lights, 3’0 doors, ceramic shower with bench and glass door, ceramic backsplash, stainless appliances, sod and irrigation front, side, and backyard, undercabinet lighting, comfort height toilets, and MORE! All this PLUS proximity to local restaurants, grocery stores, doctors, hospital, AND the sought after schools of Cool Spring Elem, Chickahominy Middle, and Atlee High School. NO need to wait to build your dream home…..this one is done and ready for you! 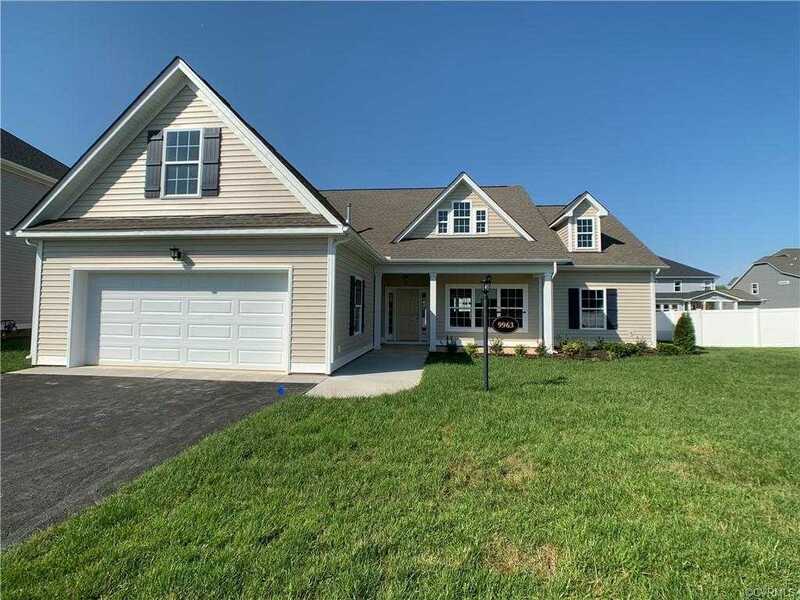 Please, send me more information on this property: MLS# 1908874 – $449,950 – 9963 Sunny Oak Drive, Mechanicsville, VA 23116. I would like to schedule a showing appointment for this property: MLS# 1908874 – $449,950 – 9963 Sunny Oak Drive, Mechanicsville, VA 23116.